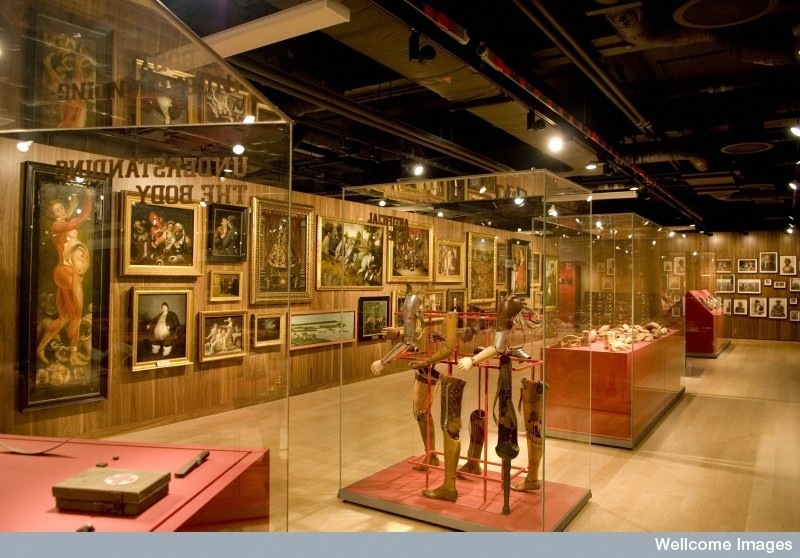 A Taxonomy of Science: the case of an un-Wellcome portrait. In July 1913 Sir Ronald Ross wrote to the Wellcome museum to ask to have his portrait removed from their collections. Why, you might ask. Was it an incorrect likeness, poorly labelled or badly painted? No. It was simply hung too close to someone he didn’t like. 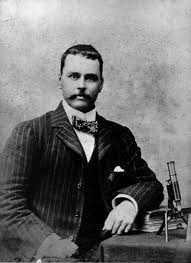 As you are probably aware if you have read my blog before Ronald Ross was a phenomenally interesting character. Sharp-tongued and combative, he helped to revolutionise tropical medicine at the turn of the century. He was an experimental pioneer, championed scientific researchers’ rights – both financially and intellectually – and petitioned the African, Indian and British governments for sanitation and hygiene improvements in the colonies. His big project, for which he won the Nobel prize in 1902 was to prove that one of the colonies’ biggest killers, Malaria, was spread not by miasmas or contaminated soil, but by a parasite carried in the salivary glands of the anopheles mosquito. This discovery was the result of months of hard labour, hours of microscope work and a fair amount of trial and error. 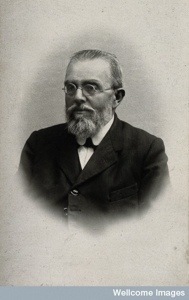 He based his work on the theories of his forebears, Charles Laveran and Patrick Manson, and in 1897 successfully ‘followed’ the parasite from an infected patient into the stomach of an anopheles mosquito. He then , in 1898, successfully infected healthy birds (owing to a shortage in human volunteers and an unfavourable military rotation) with Avian malaria using mosquitoes. The series of experiments proved the theory that malaria was conveyed to their definitive host by a mosquito vector. He also identified, after much difficulty, that avian malaria was conveyed by “grey” mosquitoes and that human malaria was probably conveyed by “dappled-winged” mosquitoes. Italian zoologist Giovanni Battista Grassi would later confirm Ross’ findings and identify Ross’ “grey” and “dappled-winged” mosquitoes as Culex and Anopheles respectively. In collaboration with fellow researchers Bastianelli and Bignami, Grassi then demonstrated the infection of humans by the same method – a fact that Ross took as simply further confirmation of his groundbreaking discovery and Grassi took as the final stage and thus ‘clincher’ of the mosquito theory. 14 years later it was still a sore point for Ross, who vitriolically demanded his portrait, which was hung on the left of Manson, whilst Grassi’s was hung on the right, be taken down. He wrote: “I like neither the portrait nor the association”, insisting that the placement of the portraits was “made on purpose in order to perpetuate what [he], and most scientific men, regard to be a series of falsities regarding [his] work”. Despite Henry Wellcome’s best efforts to assure Ross’ that the museum remained impartial in the matter and that no attempts were made to ‘classify’ the scientists by such arrangements, Ross insisted that by placing the portraits in such a manner certain notions of priority might be inferred, and furthermore that left as it was, the connotations would be taken by visitors as representative of the museum, it’s benefactors and indeed the country. Amusing story as this is, it offers a real insight into the competitiveness of a newly established profession (that of the [tropical] medical researcher) and raises interesting questions about the politics of historical collections. By placing collections in certain orders and establishments are we attempting to ‘classify’ history? Does the set up of the collection itself tell us something about its contents? These questions will certainly be flickering at the back of my mind next time I visit the Wellcome museum.